Noise is an inconvenience of city living. Could it also hurt your health? Erica Walker, a doctoral student at the Harvard T.H. Chan School of Public Health, set out to help answer that question. For a year, she measured noise levels in 400 locations in Boston and interviewed residents about their perceptions of the sounds around them. Her results — complete with neighborhood “noise report cards” — will be released on her website, noiseandthecity.org, on Monday. The project is one of the first large-scale sonic mappings of a city in the United States, where the relationship between sound and health has received less attention than in Europe. Walker hopes it will push policymakers and researchers to begin taking noise seriously as a public health issue. “People are concerned about noise, but they feel it’s something they just have to put up with because they live in the city. A lot of people are suffering, they’re just suffering in silence,” she says. The health effects of noise are understudied, but some epidemiological research has implicated long-term exposure to loud sounds in the development of cardiovascular disorders. Unlike air pollution, which reduces health directly, the impact of noise occurs through the way it drags on other aspects of healthy living. 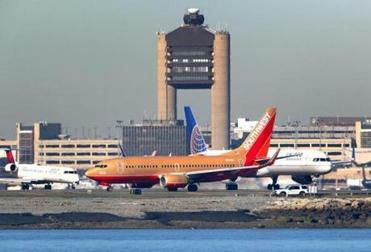 “Noise exposure can increase stress, can disturb sleep, and can create general annoyance, and all those things are known to contribute to hypertension,” says Jonathan Levy, a public health researcher at Boston University who has worked on multiple studies of the health effects of airport noise. A busy airport makes a healthy city. According to Walker’s models, the only period of real quiet in Boston each day is from 1 a.m. to 5 a.m. “At 5 a.m., you start to get pickup and delivery, trucks are slamming and opening doors, throwing things, unloading things . . . once the noise starts, it’s consistently loud throughout the rest of the day,” she says. The noisiest neighborhoods in Boston are Chinatown, the North End, and Dorchester. The quietest areas are West Roxbury, Mattapan, and some parts of Jamaica Plain. Moreover, Walker found that existing city noise ordinance thresholds are routinely broken. An important finding of her work is that when it comes to noise, perception matters as much as any objective measurement. Walker’s team asked 1,200 people to rate their sensitivity to noise and to assess how annoyed they were by sounds like car horns, leaf blowers, tourism, crying babies, and loud parties. She found that people’s perceptions of the noise around them sometimes differed substantially from her measurements. 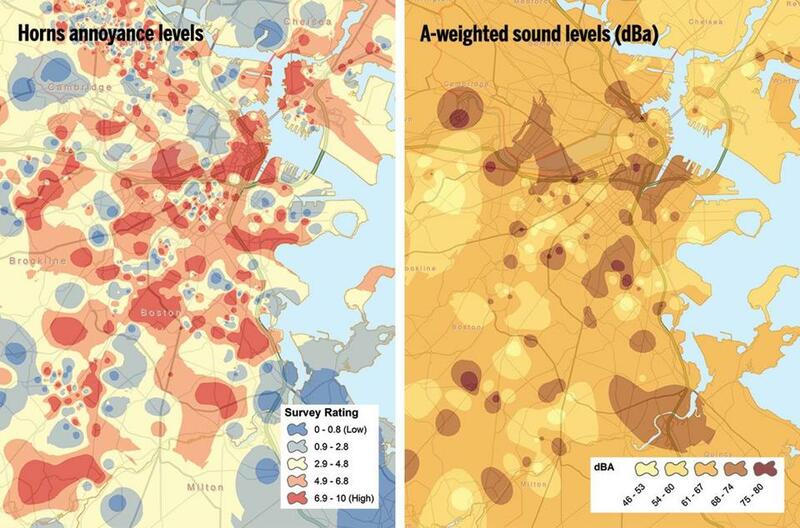 Walker found this perception gap to be especially wide in East Boston, where residents reported being disproportionately sensitive to airport noise. “Noise levels in East Boston are not nearly as bad as in Dudley or Dorchester, but the perception of loudness in East Boston, it’s through the roof,” she says. For city officials, Walker’s work is a starting point — a baseline for noise mapping the city. Even with more data, better noise control won’t be easy to come by. Already the City of Boston states, “Anything louder than 70 decibels is considered too much at any time.” But if perception counts for so much when it comes to noise and health, inevitably you have to ask, whose perception counts more?